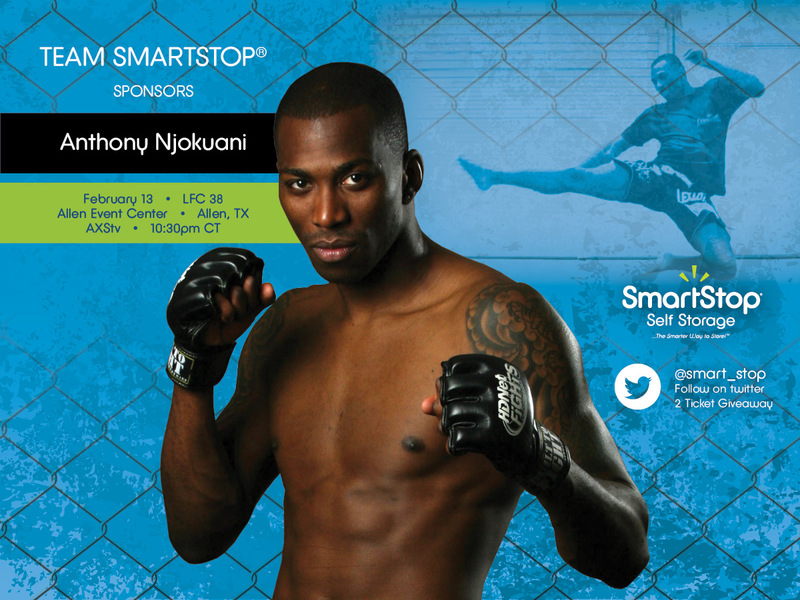 Anthony Njokuani Legacy Main Event « KOReps! Tonight former UFC-vet and three-time WEC “Knockout of the Night” winner Anthony “The Assassin” Njokuani returns to the cage in the main event of LFC 38! He takes on the winner of four straight fights, David Burrow. For Njokuani, this fight is important, as it’s his first fight since being released from the UFC. Many fighters have been released from the UFC and have deservingly fought their way back. Njokuani’s first test isn’t an easy one as Burrows has submitted his last four opponents. Amazingly for Burrows, 10 of his 12 professional victories have come by submission. “The Assassin” will be more than ready for the test, as he has only been submitted three times in his 25 fight professional career. In fact, it’s been more than four years since he’s been finished by an opponent. For Njokuani, his experience will play a major factor. Fighting eight times in the biggest promotion that the sport has to offer is something Burrows simply can’t match. It’s also no secret that Njokuani likes to keep the fight standing. During his UFC and WEC tenure, 77% of his landed strikes came standing. His standup skills are incredibly aided by his massive reach of 75.5 inches. This fight will be a classic clash of styles, as Burrows will be trying to get the fight to floor to look for another submission. Look for Njokuani to make headlines in his first Legacy fight! Catch this great matchup in the main event of LFC 38 live from Allen, Texas as the main card goes live on AXS TV at 10.pm. EST/ 7 p.m. PST!